As a member of the Distributed Generation team at ERC his research is focused on analyzing the financial impacts that utility rates have on combined heat and power (CHP) systems. 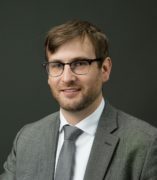 Mr. Miller has written research briefs for the Department of Energy, the Iowa Office of Consumer Advocates, the Iowa Environmental Council, the Minnesota Department of Commerce, the Missouri Department of Economic Development, and the Environmental Law and Policy Center. Mr. Miller has been called as an expert witness in utility rate cases and efficiency filings before the Iowa Utility Board, the Indiana Utility Regulatory Commission, and the Minnesota Public Utility Commission, as well as publishing numerous papers through the US DOE Midwest Clean Energy Application Center.